Credit: Deutsche Bahn AG/Uwe Miethe. 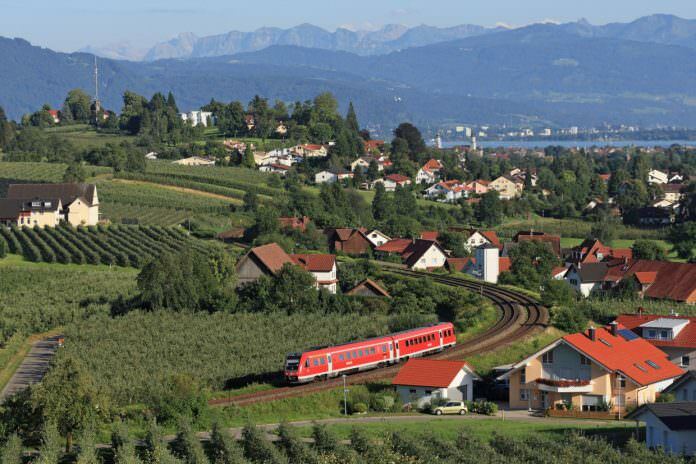 Deutsche Bahn has awarded Powerlines a contract to electrify two sections of track between Munich and Zurich. With investment from the German Federal Government, the State of Bavaria and the Swiss Confederation, Powerlines will modernise and electrify the sections between Mindelheim-Stetten and Memmingen-Leutkirch. As part of the work Powerlines will install a total of 465 masts, 481 cantilevers, 38km of high-strength AC-100 Elcorim-type catenary cable, 59km of feeder line and 4km of return feeders. The project also includes work to modernise the railway stations in Türkheim and Kißlegg to enable ultra-modern trains to navigate curves at considerably higher speeds. It is understood that the deal is worth €13 million. Work is estimated to be complete in December 2020. Powerlines Group CEO Gerhard Ehringer said: “In Germany – one of the most important core markets for Powerlines – we expect a very stable and sustainable business in the coming years, also due to the passing of the Federal Transport Infrastructure Plan. The aim of the project is to reduce travel time between the two cities to three hours and 30 minutes. Next articleHow long would your commute take on a hyperloop?